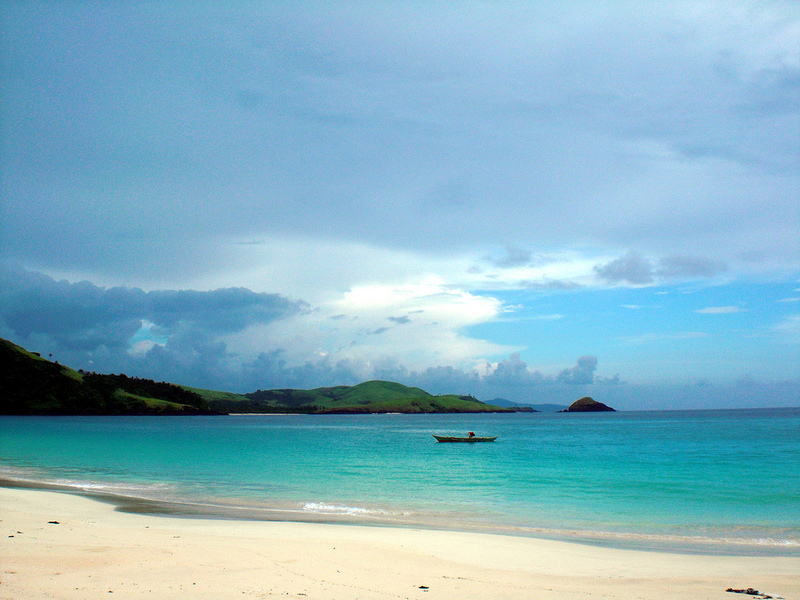 Calaguas Island is one among the islands located in the province of Camarines Norte. 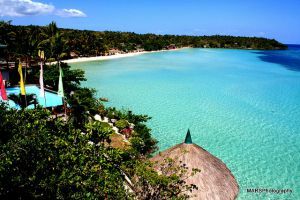 The pristine beach and the crystal clear waters make this destination a must-visit for tourists from all over the world. Mahabang Buhangin, which translates to “long beach”, is a kilometer-long beach that boasts of white sand and a gorgeous landscape. Before, there are no places for overnight stay and establishments here. You have to bring your own food and water or tents, should you wish to stay a bit longer. You can also opt to stay on hotels within the mainland and hire a boat to get there. But today, it has changed. There are now many available cottages available to guests who want an overnight stay. The island is just a two-hour boat ride from the port to Tinaga Island, anyway, depending on the weather condition. It is best to visit the island during the summer, in the months between February and May because the waves are calmer at these times of the year. There are also travel agencies that offer tour packages to Calaguas. 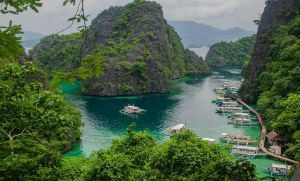 Some of the packages may include a land trip from Manila, meals, boat transfers, and tents. For the adventure-seekers, they can do the tour on their own via Daet. 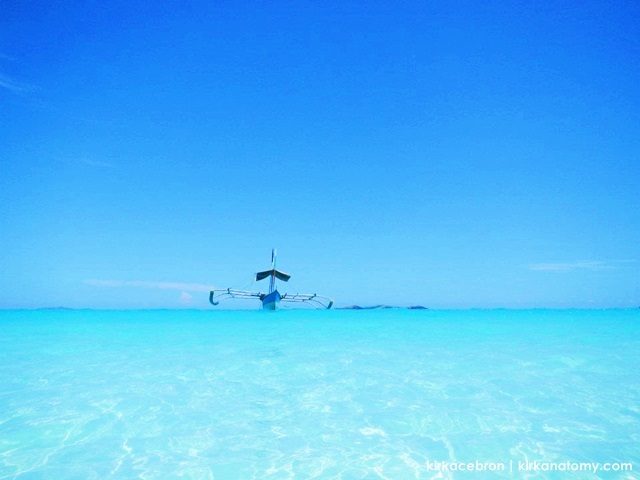 Some airline companies offer regular flights to Calaguas from the Naga City airport. The earliest trip is at 5AM, with 7PM as the last. From Cubao/Pasay to Daet, you can take buses like DLTB, Penafrancia Travel and Tours, and Isarog Bus Lines. It will take about eight to nine hours of travel time, which depends greatly on the traffic. Expect to pay Pho 500 to Php 600 pesos for the entire trip. Unlike other beach destinations, it offers more than a place to unwind. The tranquil and serene environment as well as the gorgeous coves await visitors here. You never have to spend too much as well. Entrance fee is just Php 10 and camping fee is only Php 150. For those who want to stay in cottages, rates range from Php 250 to Php 300 a night. It may be just an island, but it offers a range of activities for everyone, from swimming to stargazing. For sure, you won’t get bored here. Swimming – Experience the warm waters and powdery white beach of Calaguas by swimming with friends. Island Hopping – Hop on to a boat, and get to explore the nearby islands of Malacubo and Quinamanucan. Bonfire – Tell stories and spend a lazy evening with your loved ones in front of a bonfire. Perfect way to end the night, right? Stargazing – Gaze into the stars after a long day of swimming until you fall asleep. Visiting the Waterfalls – Visit waterfalls in Labo, such as Burok-Busok, Malatap, Palanas, Maligaya, Turayog, and Saltahan, among others. Mountain Climbing – For thrill-seekers, they can climb Mt Isarog and see the view from above! Indeed, Calaguas Island is a great destination for tourists who want relaxation, adventure, and a quest for nature. The port is just a few hours away from Manila by land, and one can always find cheaper rates in getting there. Plus, it is abundant in activities for everyone. What more could you ask for?